Take a descend through the heights while sitting in the Luge and take control of speed as you enjoy this exciting ride. The Luge track remains safe and obstacle free to offer you a thrilling experience at its best. This is a unique wheeled gravity ride that is meant as a fun family friendly adventure activity. 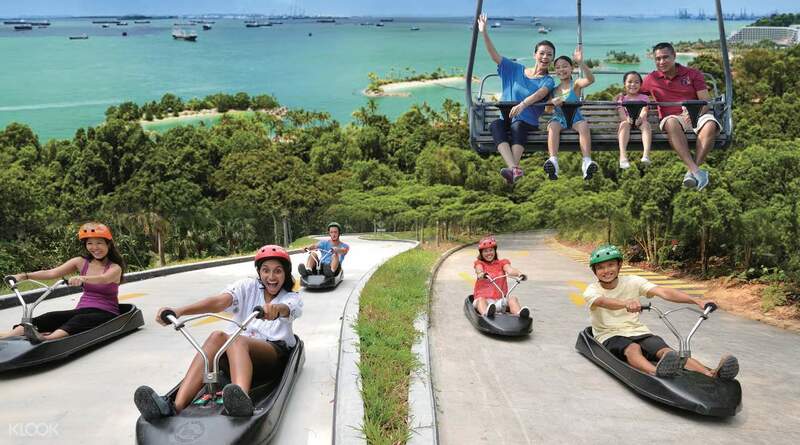 The trail is around 628 metres of the Jungle area and once you are done with this ride, just hop on to the Skyride chairlift and witness the panoramic beauty of the coastline of Sentosa. Both these activities together constitute a lifetime experience, whose thrill you won’t be able to forget.